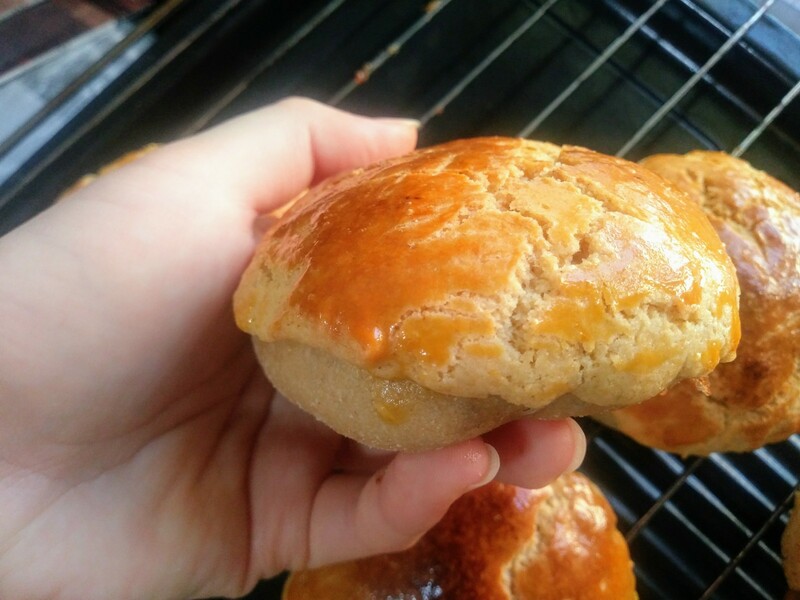 Mid-Autumn Festival is around the corner! 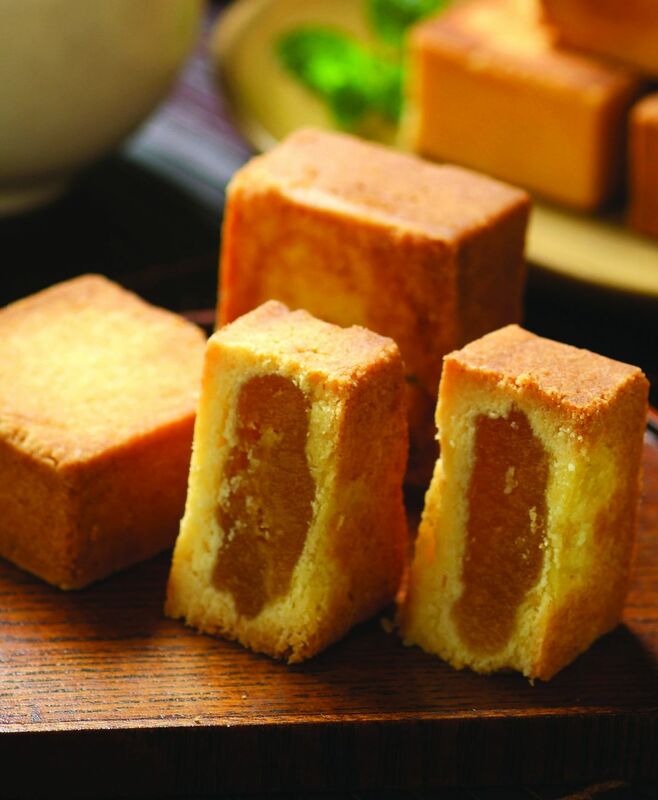 In Hong Kong, lotus seed mooncakes (and other non-traditional varieties e.g. egg custard mooncakes and snowy mooncakes), stuffed glutinous rice dumplings in sweet soup and fruits like pomelo and star fruits are served. 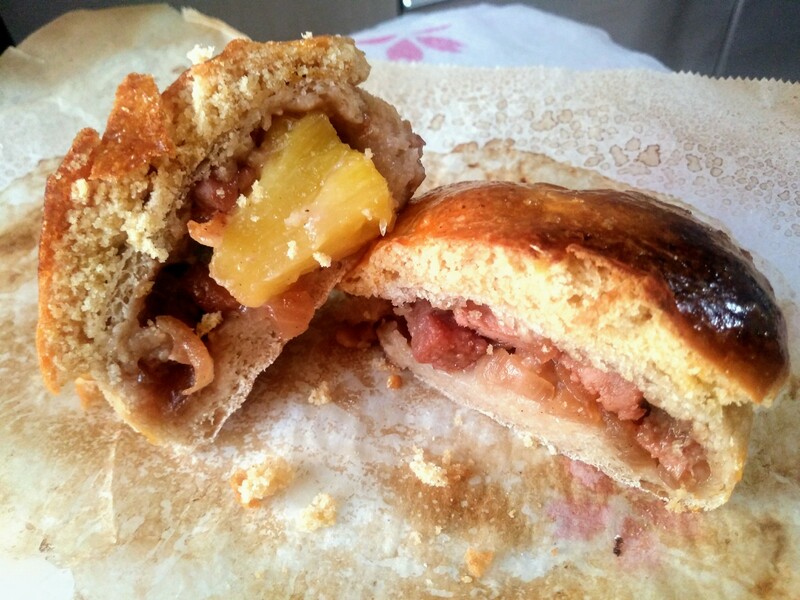 In case you’re wondering…No, we don’t celebrate it with pineapple char siu buns! The thing is, this Chinese festival triggers my craving for Chinese food. Marinate the pork overnight or for at least 6 hours. Remove the pork from the fridge, letting excess marinade drip off. Reserve the remaining marinade. Preheat the oven at 400°, bake the pork on a rack in the middle/top layer depending on the size of your oven. Place an aluminium-foil-lined baking sheet at the bottom layer to collect any drip off. After 10 minutes, flip the pork and brush the side facing up with honey, bake for 5 more minutes or until charred on the edges. Let it rest for at least 10 minutes. Make the filling. 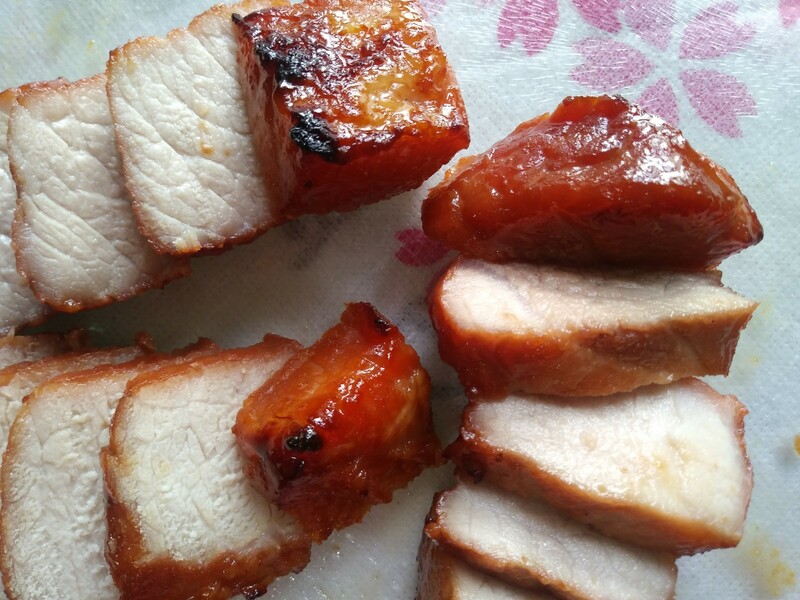 Cube the char siu into your desired size and finely dice half an onion. Heat oil in a pan/wok. Fry the onion at medium heat until lightly caramelized. Pour in the reserved marinade and cook until thickened. Dissolve 1 tsp of corn starch in 1 tbsp of water and add to the pan to thicken if necessary. 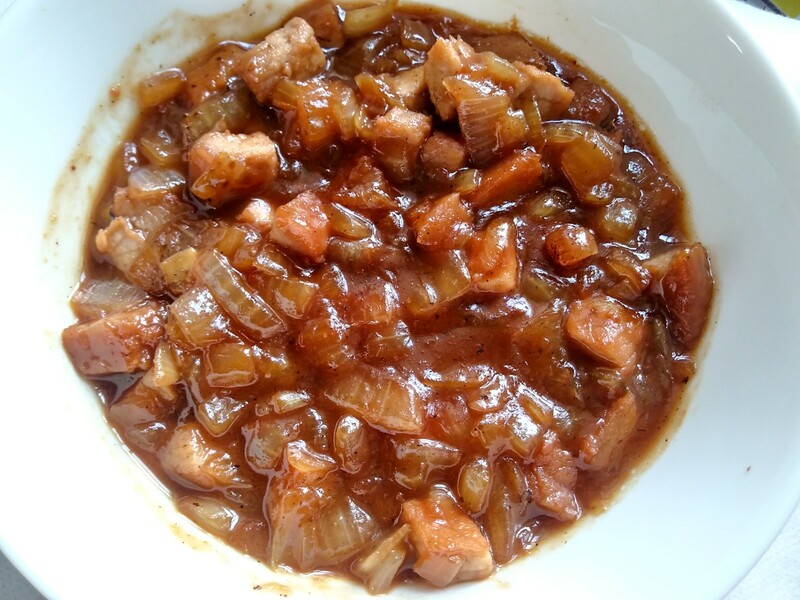 Mix in the cubed pork then remove from fire. Refrigerate the mixture until needed. Mix together the flour and water for the tang zhong and heat over medium-low, stirring continuously until thickened, about 2 minutes. Let cool to room temperature. Mix thoroughly all dough. Combine roughly all dough ingredients except for salt and yeast, autolyse for 30 minutes. Mix in the reserved ingredients then slap and fold the dough until gluten is developed, around 10 minutes. Let ferment for 2 hours at room temperature then retard for 8-14 hours. Make the pineapple crust by combining all ingredients and refrigerate until firm, 30 minutes at a minimum. Keep refrigerated until needed. Divide the cold dough into 6 equal pieces. Let them rest for 20 minutes. Place 1/6 of the filling into each dough piece then top with a chunk of pineapple. Bring the edges together and lightly pinch to seal. Let proof on a parchment-lined baking sheet for 40 minutes. Preheat the oven to 400°F. 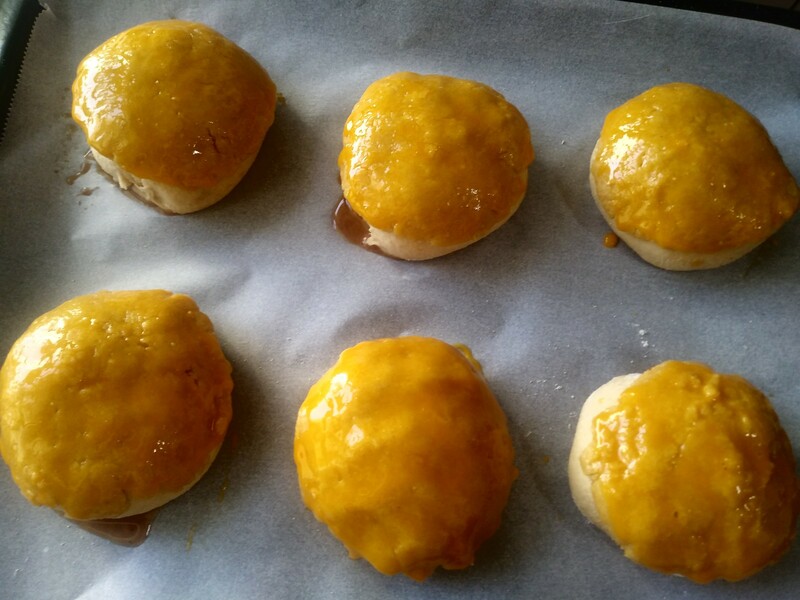 5 minutes before baking, take the pineapple crust dough out of the fridge and divide it into 6 equal balls. 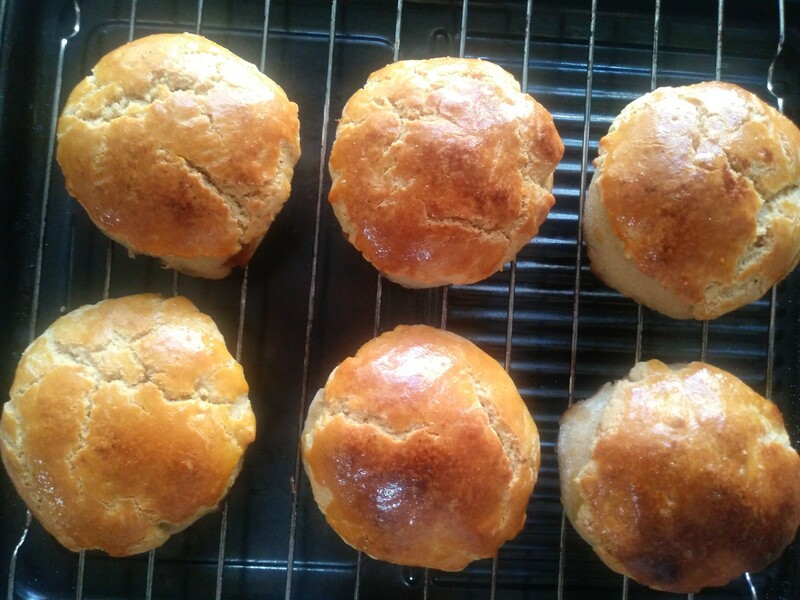 Working quickly, flatten each ball with you palm then place it on top of the buns. Brush the crust with egg yolk. Bake the buns at 400°F in the middle rack for 15 minutes or until the crust is browned to your liking. Let them cool for 15 minutes before serving. The crust is quite crumby but not as much as those sold in Chinese bakeries. I guess that was the consequence of leaving baker’s ammonia, which traditional recipes call for, out of the formula. Another change I made for the crust formula was subbing ghee for lard, shortening or butter. I love the aroma of ghee but feel free to use the alternatives listed above. Since I didn’t seal the dough properly, much of the juicy sauce leaked out onto the sheet pan…I’m certain that most of you can do a better job to yield an even juicer centre! but your pictures made me hungry all over again. Everything is beautifully done! Since the crust and bread were both made with whole wheat flour, these buns should be considered a healthy snack, right? Two SD Loaves Starting This Week! We had an International Food Fair (Again)! Red Bread for the Chinese New Year!